The FlexPDE 7 User Manual in PDF format for local printing. This book is available free for download from our website. The FlexPDE 6 User Manual in PDF format for local printing. Explains how to solve various partial differential equations occurring in electro- and magnetostatics, in heat transport, and in electronic conduction. It includes introductory chapters on how to generate graphics, on vector analysis, and how to solve elementary PDEs. (Zip file containing PDF document and sample scripts for use with the free Student Version). Note: PDF documents can be read or printed by the Adobe Acrobat Reader, available free from www.adobe.com. ZIP files can be unpacked by most systems as well as WinZip or Zipper on Windows. The laws of physics may often be transformed mathematically into second-order partial differential equations (PDEs). Few of these equations have exact solutions, however, which explains why they do not receive the attention they deserve in the academic curriculum. 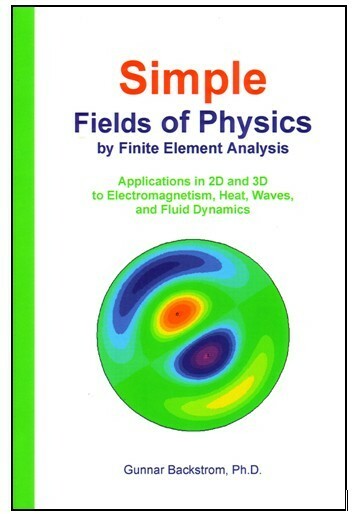 The main purpose of this book is to exploit the free Student Version of FlexPDE for solving PDEs occurring in physics. It solves a typical example in seconds and promptly presents the results graphically by a variety of plots. This book begins by presenting the graphical facilities available and solving some simple Laplace and Poisson equations. The main part of the volume is devoted to applications (in 2D and 3D) to electriciy and magnetism, heat transport, electromagnetic waves, wave mechanics and viscous flow. 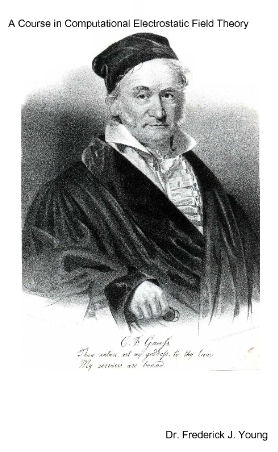 The volume comprises 125 examples, illustrated by plots, and there are also end-of-chapter exercises. Scripts used in this volume are available here. The book begins by explaining the plotting facilities of FlexPDE by simple examples. After an introduction to Laplace and Poisson equations it shows how the definitions of strain, Hooke's law, and the relations of force balance lead to 2nd-order partial differential equations, which may be solved conveniently by the Free Student Version of FlexPDE. The first elasticity applications are elementary, but the following chapters involve an analysis of principal axes and the corresponding strains and stresses. The static analysis includes torsion, warping, and thermoelastic deformation. Forces, bending moments and energy are also obtained. The dynamic analysis follows the same general pattern as the static counterpart, with the difference that the equations of equilibrium are replaced by Newton's law of motion. 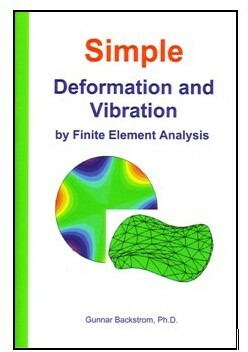 There are also chapters on resonant vibration, eigenvalues and eigenstates in both 2D and 3D. The volume comprises 95 examples, illustrated by plots, and there are also end-of-chapter exercises. 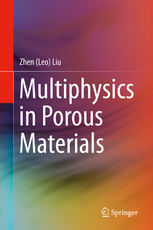 This book summarizes, defines, and contextualizes multiphysics with an emphasis on porous materials. It covers various essential aspects of multiphysics, from history, definition, and scope to mathematical theories, physical mechanisms, and numerical implementations. The emphasis on porous materials maximizes readers� understanding as these substances are abundant in nature and a common breeding ground of multiphysical phenomena, especially complicated multiphysics. Dr. Liu�s lucid and easy-to-follow presentation serve as a blueprint on the use of multiphysics as a leading edge technique for computer modeling. The contents are organized to facilitate the transition from familiar, monolithic physics such as heat transfer and pore water movement to state-of-the-art applications involving multiphysics, including poroelasticity, thermohydro-mechanical processes, electrokinetics, electromagnetics, fluid dynamics, fluid structure interaction, and electromagnetomechanics. This volume serves as both a general reference and specific treatise for various scientific and engineering disciplines involving multiphysics simulation and porous materials. Electrostatic problem solving in two and three dimensions is explained using FlexPDE. It is written for advanced students who have had courses in basic electrostatics. The goal of this book is to enable students to use finite elements to solve many of the problems of electromagnetic field theory that cannot be solved analytically by advanced mathematical analysis. Being able to quickly get solutions to new problems, make changes in them and view the results graphically leads more rapidly to physical understanding than spending hours working with complex mathematics. This book is available for purchase in electronic form at GooglePlay and other online sources. FlexPDE usage for the modeling of image processing (Edge Detection, Diffusion Smoothing, and Wavelet Transform) via methods of Mathematical Physics. All topics are supplied with the examples and exercises for FlexPDE 5 free Student Version. This e-book (in Russian) is available for purchase at GRIN Verlag.